Following on from Manga Entertainment UK’s Zavvi Exclusive Deluxe Edition of Ghost in the Shell: Stand Alone Complex, of which we reviewed in great detail, the UK anime distributor have now announced that a standard TV series collection consisting of both Ghost in the Shell: Stand Alone Complex 1st Gig and Ghost in the Shell: Stand Alone Complex 2nd Gig will be released on Blu-Ray and DVD this August. 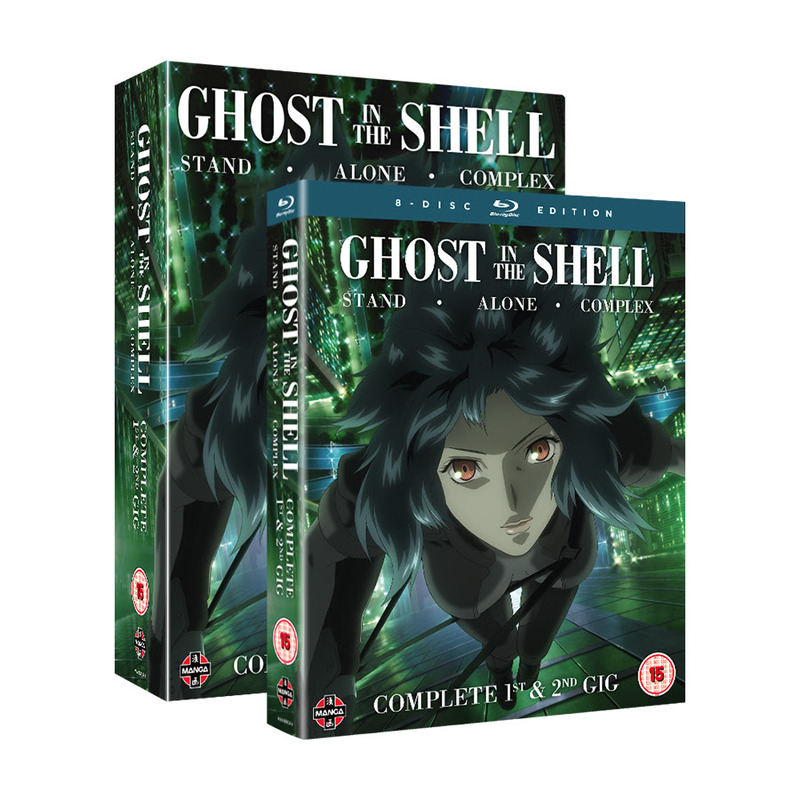 Scheduled for release on the 6th August 2018 this ‘TV Series Collection’ release will see both Season 1 and Season 2 of Ghost in the Shell: Stand Alone Complex complied together in a single collection. That’s 52 episodes, in both English & Japanese, across numerous discs bundled together with a selection of bonus features including cast interviews with those who worked on the series. This ‘TV Series Collection’ will come packaged in two cases that slide into a double-walled cardboard slipcase; similar to how Manga UK’s Blu-ray release of Death Note. 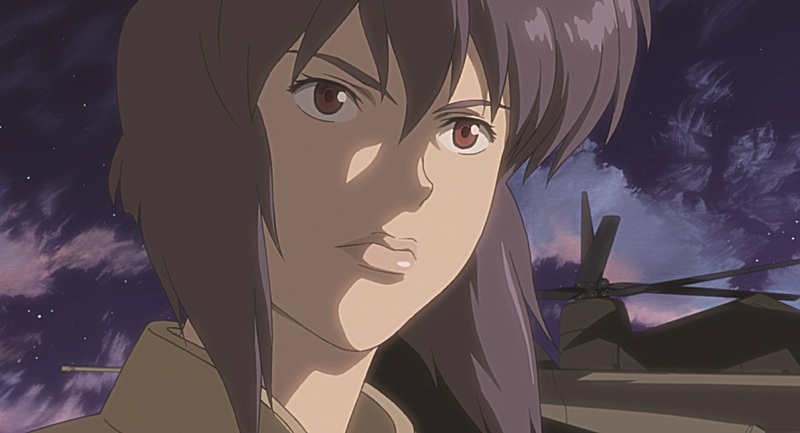 It’s worth noting that this TV Series Collection will not include the two TV recap movies, known as Ghost in the Shell: Laughing Man and Ghost in the Shell: Individual Eleven, or the feature-length-film Ghost in the Shell: Solid State Society; but these films are available individually. Alternatively those wanting the ‘definitive edition’ do have the option of going for the Deluxe Edition of which contains everything within the Ghost in the Shell: Stand Alone Complex universe in addition to a book featuring all-sorts of information. Synopsis: In the not so distant future, mankind has advanced to a state where complete body transplants from flesh to machine is possible. This allows for great increases in both physical and cybernetic prowess and blurring the lines between the two worlds. However, criminals can also make full use of such technology, leading to new and sometimes, very dangerous crimes. In response to such innovative new methods, the Japanese Government has established Section 9, an independently operating police unit which deals with such highly sensitive crimes. Ghost in the Shell: Stand Alone Complex TV Series Collection is scheduled to be released on the 6th August 2018 and is currently available to pre-order from various different retailers (with pre-order links now available on Amazon UK).